Traditional bridge loans are appropriately named, because they are designed to help people bridge the financial gap between one home and another. For example, if you buy a new home before selling your old one, you can borrow money with a bridge loan to help cover such things as dual mortgage payments, the down payment on your new home, closing costs, moving expenses, and broker fees. Unfortunately, bridge loans for purchasing residential real estate are just about nonexistent these days. Such loans aren't that profitable for lenders to begin with and in the more conservative lending environment following the 2008 market crash, there just isn't much interest in doing them. The ones that are made are pretty much limited to borrowers who have a great deal of equity in their old home and along with substantial financial reserves. Besides, interest rates and repayment installments on bridge loans aren't cheap, even when you can find them, and can hit you deep in your pocket just when you're trying to conserve money. So, what can you do? One less costly and more readily available alternative to a bridge loan is to use a “home equity loan” instead. A home equity loan offers several advantages over a traditional bridge loan. First, they're a lot easier to obtain. As long as you've got decent credit, all you need is adequate equity in your home to cover the down payment and purchase costs while leaving enough of a cushion to satisfy the bank. Second, the interest rate and fees are probably going to be a lot lower than you'd find on a bridge loan. Let's say your current home is worth $500,000 and you've got $250,000 in equity in it, which works out to 50 percent equity. A lender might let you take out a home equity loan for $200,000 to use toward the purchase of a new home, which would leave you with 10 percent equity in the old home. Many lenders will go that far these days if you have good credit. Home Equity Line of Credit (HELOC) or conventional home equity loan? If you take this approach, you may want to take out a home equity line of credit (HELOC) rather than a traditional home equity loan. On a regular home equity loan, you borrow a fixed amount and begin making payments against principal and interest almost immediately. With a HELOC, you're not borrowing the money immediately. Instead, you're given a blank check to borrow up to a certain amount, secured by the equity in your home, any time that you wish. So, you can set up the HELOC in advance, take your time shopping for a new home and then only draw the cash at the moment it's needed. Another advantage of a HELOC is that they're usually set up initially as interest-only loans, so that you don't have to make any payments toward loan principal, unless you choose to. That means minimal loan payments until your old home is sold, at which point you can pay off the whole thing - although you want to be careful your HELOC doesn't penalize early payments if you do so. 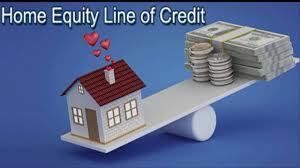 The interest rate and upfront fees for a HELOC are usually lower than on a standard home equity loan as well. At the same time, lenders may not allow you to borrow quite as much on a HELOC as you could with a regular home equity loan, so there's that to consider as well. What about a cash-out refinance? 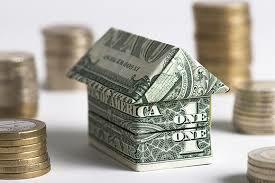 Another option would be to do a cash-out refinance on your old home before buying the new one. This works like a home equity loan, except that you roll the entire amount borrowed into a single mortgage, rather than having separate payments for your mortgage and your home equity loan. The reason for doing this would be if you find it easier to obtain a cash-out refinance than a home equity loan or line of credit. But for a short-term loan such as a bridge toward buying a new home, the upfront fees on a refinance will likely be much steeper than on a home equity loan or HELOC - so you'd only pursue this option if the other two weren't available. If you use a home equity loan or refinance as a bridge loan, remember that it may limit your ability to qualify for the mortgage you're seeking on your new home. You need to be able to qualify for both the loan you're using as a bridge and the mortgage on the new home. 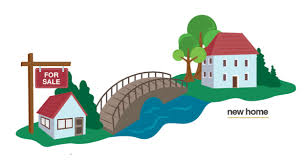 It doesn't matter that you plan to pay the bridge off as soon as you sell your old home, you need to have enough income to satisfy the lender that you can cover the payments on both loans on an ongoing basis. There's one other major rule you should heed if you're thinking of taking this path: apply for your home equity loan BEFORE you put your house on the market. Most lenders won't let you take out a home equity loan if your property is listed on the MLS (Multiple Listing Service), so this strategy requires some proactive movement on your part. There are banks that will grant you a home equity loan after your house is listed, but they are few and far between. Therefore, schedule your home equity loan closing before you list your property for sale. As soon as the home equity loan goes through, you can sock away the cash, and put your house on the market. If your house sells within a month or two, you may need to make only one small payment before it closes. At closing you'll pay off the home equity loan and be done with it. Essentially, you will have crossed the bridge before you even got to it. 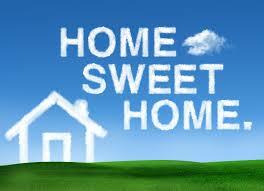 The end result is you sell your home and get the home you want with much less stress and anxiety.